Dr. Ruud Weijermars specializes in independent strategy analysis and training to support energy executives and professionals in strategy, leadership and change management. 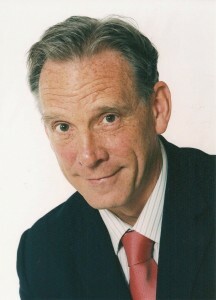 Ruud serves as an advisor to major energy companies on strategy analysis and leadership under change dynamics. He is the first Editor-in-Chief of Energy Strategy Reviews. Ruud is also affiliated to the Delft University of Technology, where his research focus is on the gas value chain, petroleum economics and technology. Ruud serves as the TU Delft’s Director of Unconventional Gas Research Initiative (UGRI). Ruud is a key lecturer in the Master of Petroleum Business Engineering, which he helped develop at Delft University of Technology in close cooperation with industry partners (Shell, BP, Aramco, Baker Hughes, Petronas, Statoil) and energy knowledge partners (TNO, IFP and EDI). Ruud blends energy business optimization, cognitive principles and learning games, with his knowledge of the geosciences and geo-engineering. Ruud holds a BS (1977) and MS (1981) in Geoscience from the University of Amsterdam, and a PhD from the University of Uppsala (1987), which he then joined as an Associate Professor and remained affiliated for many years. He moved on to hold professional positions in Switzerland (ETH Zurich – postdoc 2 yrs), the United States (Bureau of Economic Geology, UT Texas at Austin – visiting research fellow – 1 yr), Saudi Arabia (King Fahd University of Petroleum and Minerals, associate professor – 6 yrs), and returned to the Netherlands in 1998 (Delft University of Technology). Read articles by Ruud Weijermars on this site.